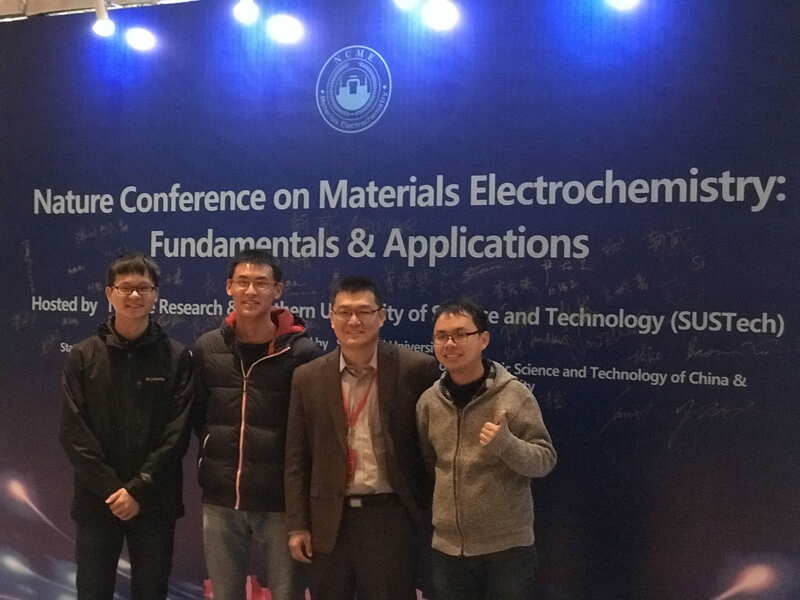 2019 Feb, Xuetian and Zhantao’s paper “Facile and Scalable Electrodeposition of Copper Current Collectors for High-Performance Li-metal Batteries” was accepted by Nano Energy. Congrats! 2019 Jan. Xuetian’s JACS paper was highlighted in multiple media sources, including University Research on DoE homepage; AAAS Eurekalert News, Argonne National Lab News, and Gatech Research Horizons, etc. 2018 Dec. Xuetian Successfully passed her Ph.D. thesis defense and graduated with a Ph.D. degree. 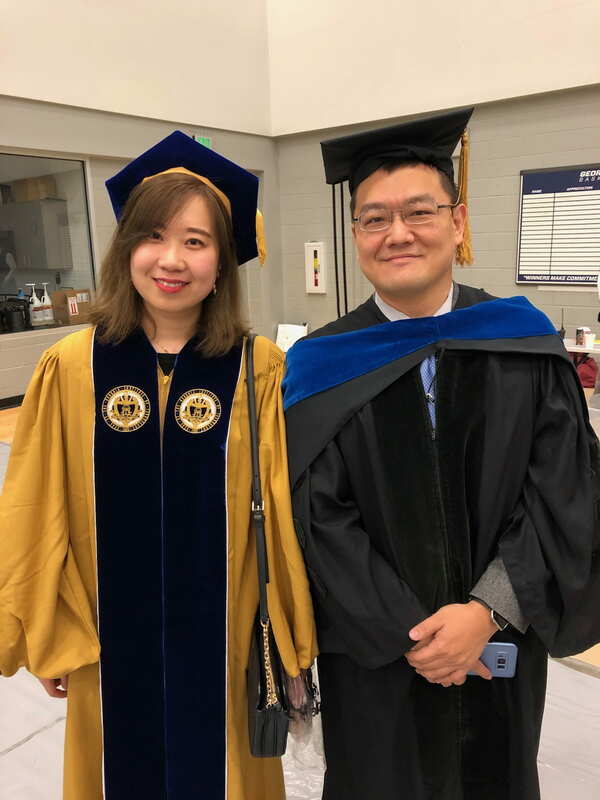 Congrats, Xuetian, the first Ph.D. graduate from Nano-Aces! 2018 Dec. Shuan Ma joined the group as a visiting Ph.D. student. Welcome, Shuan! 2018 Nov. Dr. Chen and Zhantao attended the MRS meeting in Boston. Dr. Chen gave an invited talk on cathode of sodium ion batteries. 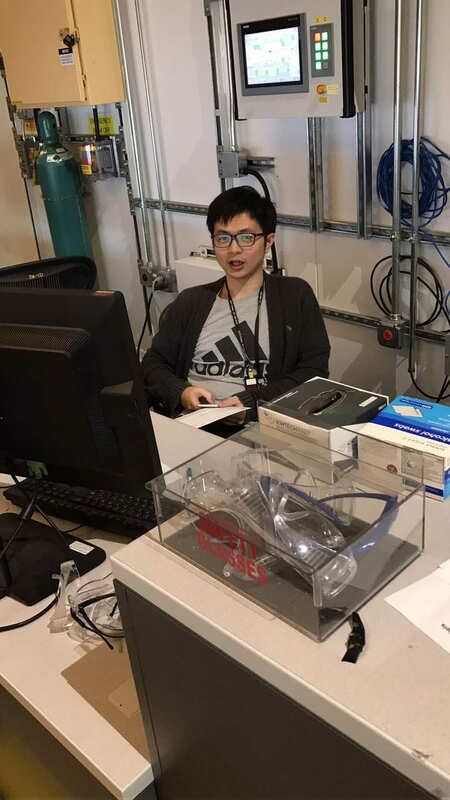 2018 Nov. Dr. Chen, Yifan and Lufeng went to the SLAC synchrotron source at Stanford. Our first trip to SLAC! 2018 Nov. Xuetian’s paper “Guiding Synthesis of Polymorphs of Materials Using Nanometric Phase Diagrams” was published in JACS (J. of American Chemical Society). Congrats, Xuetian! 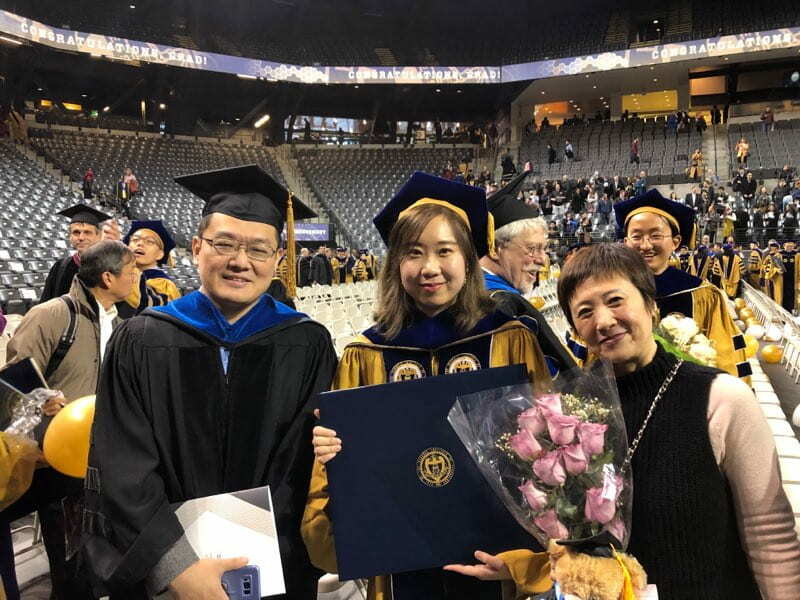 2018 August, Yifan Ma joined us as a Ph.D. student. Welcome, Yifan! 2018 June. 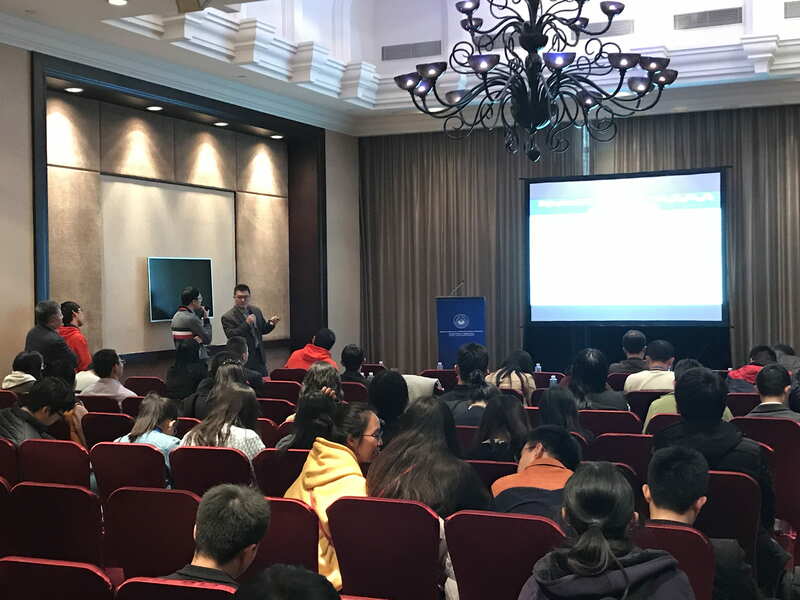 Dr. Chen was invited to visit Nanjing University and gave a seminar talk. Thanks to the warm hosting of professors Li and Peng. 2018 June. Shan’s paper “Na3SbSe4−xS x as Sodium Superionic Conductors” was published in Scientific Reports. Congratulations! 2018 May. Alicia Molina (2nd ME undergraduate) and Shikai Jin (first year ME Master student) joined the group for summer research. Welcome! 2018 April. Shan was awarded the second place award in the poster competition of the annual ECS local meeting at GT! Congratulations! 2018 Jan. Lufeng and Dr. Chen’s review paper (in collaboration with UMD) on sodium ion batteries was accepted for publication in Advanced Energy Materials. Congrats, Lufeng! 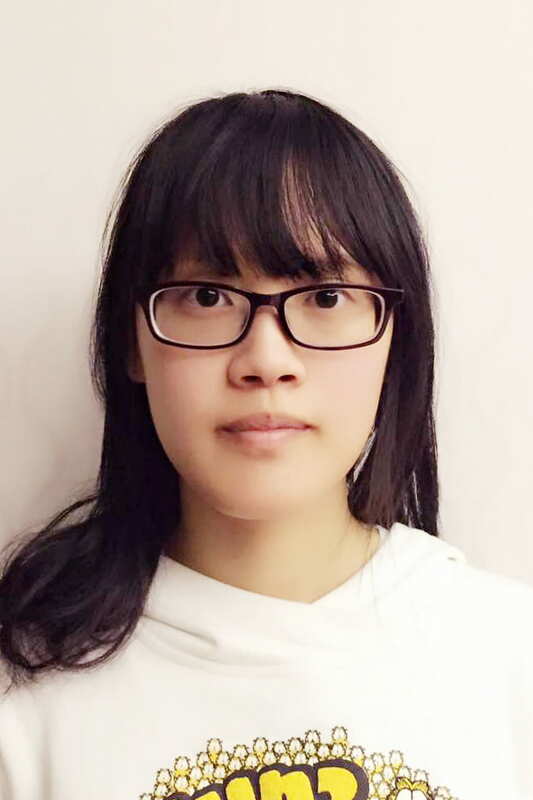 2017 Dec. Lufeng’s paper on high energy cathode for sodium ion batteries was accepted for publication in Journal of Power Sources, Congrats! 2017 Nov. Dr. Chen gave a talk at the MRS fall meeting in Boston. 2017 Sept., Changhao successfully finished his summer research and returned to his home institute. He will pursue a Ph.D. degree there after graduation. 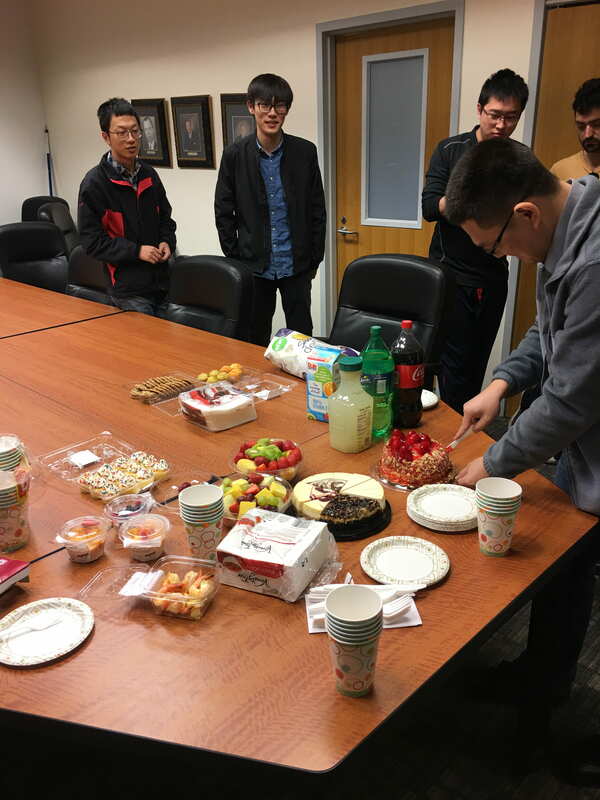 We wish you the best luck in your future career, Changhao! Stefan Whittaker-Lee joined the group as a Master’s student. Stefan gradated from Brown University in 2017 with a BS in Mechanical Engineering. Welcome, Stefan!! 2017 August, Dr. Chen gave an invited presentation at the biannual national meeting of the American Chemical Society (ACS) in Washington DC. 2017 July, Xuetian, Lufeng and Zhantao went to APS for beam time. Due to the safety shut down of APS they were not able to collect data. It’s unfortunate but this is not rare experience for synchrotron users. We’ll have good luck in next cycle! 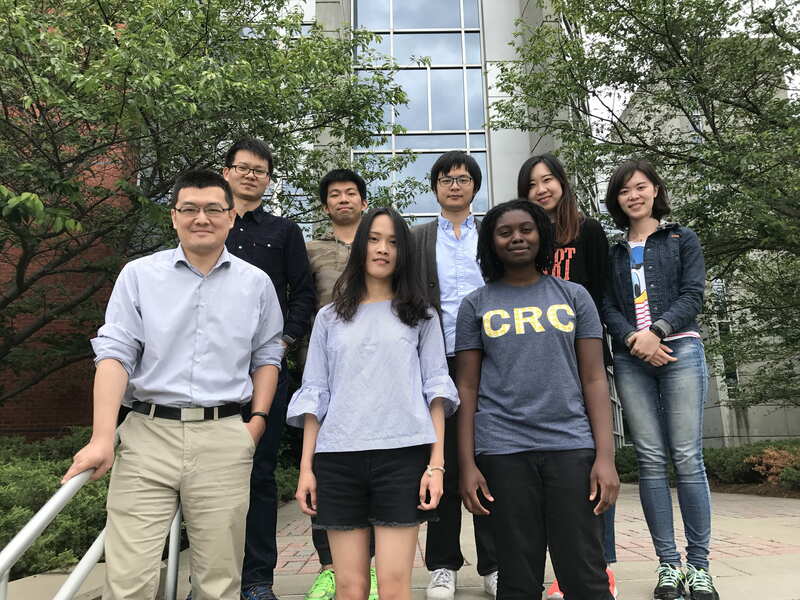 2017 June, Changhao Chen, junior student from the department of Materials Science and Engineering of Tsinghua University joined us for a two-month summer research program. Welcome, Changhao! 2017 May. 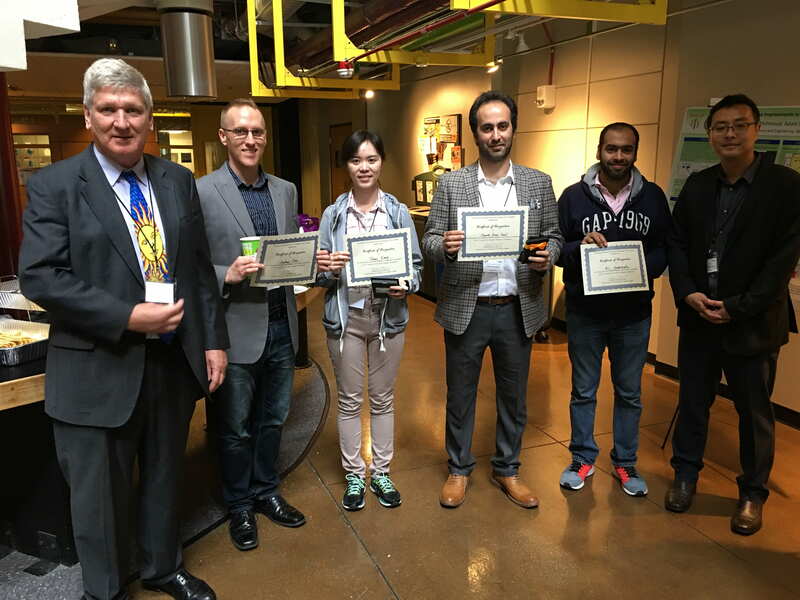 The local chapter of the Amercian Electrochemical Society held the annual local ECS meeting including an invited seminar and a poster session. Lufeng and Shan presented their poster at this meeting and Shan won the First Place Award of Best Posters! Congratulations, Shan! Shan with other awardees and the invited speaker, Dr. Fenton. 2017 May. End of semester group picture. It’s been a tradition of the group! 2017 May. 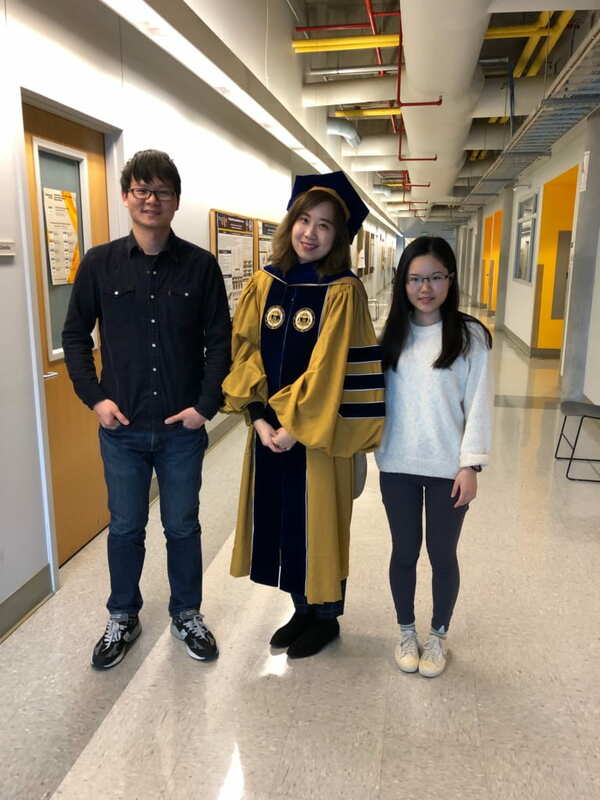 Three great undergraduate students, Jon Payne, Aijie Han and Yangyang Li, who have been working with us and done excellent research works, graduated from GT, with their well deserved BS degrees and bright next destinations! Jon will join Exxon Mobile in Houston as a engineer. Aijie was admitted to the Ph.D. program in Materials Science and Engineering at Penn State University. Yangyang will purse her Master’s degree in Mechanical Engineering at MIT. Congratulations, Jon, Aijie and Yangyang! And good luck with your next move! You will be missed and welcome to come back and visit us! 2017 March. We celebrated the completion of the renovation of lab 220 and the grand opening of our lab in full space! Special thanks to Shan and Lufeng for coordinating with the ME facility group in this long process and the excellent work floor-planning our lab! And thanks to everyone in the group for the great efforts moving and organizing the new lab! 2017 Feb. Xuetian, Shan, Lufeng and Zhantao went to NSLS-II synchrotron source for in situ XRD experiments. It’s Zhantao’s first beam time trip! 2017 Feb 26th, Xuetian held a online tutorial session for the course ME/MSE/CHBE 4759 “Electrochemical energy storage and conversion” at Brookhaven National Lab, to introduce to the students the knowledge of synchrotron X-ray radiation and their applications in energy research. 2017 Feb, Xuetian’s paper “NaAlTi3O8, A Novel Anode Material for Sodium Ion Battery” was published in Scientific Reports, a journal of Nature-Springer publish group. Congrats, Xuetian! 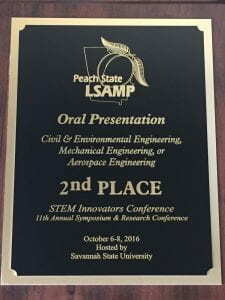 2017 Feb. Jacqueline won a second place award in the Peach State STEM Innovators Conference for her research work done in 2016 summer in our lab under the support of SURE program. Congrats, Jacqueline! 2017 Feb. Our lab 220 is undergoing a renovation! It is supposed to be done in mid-Feb.
2017 Jan. 09 Haibo Rong joined us as a visiting phd student. 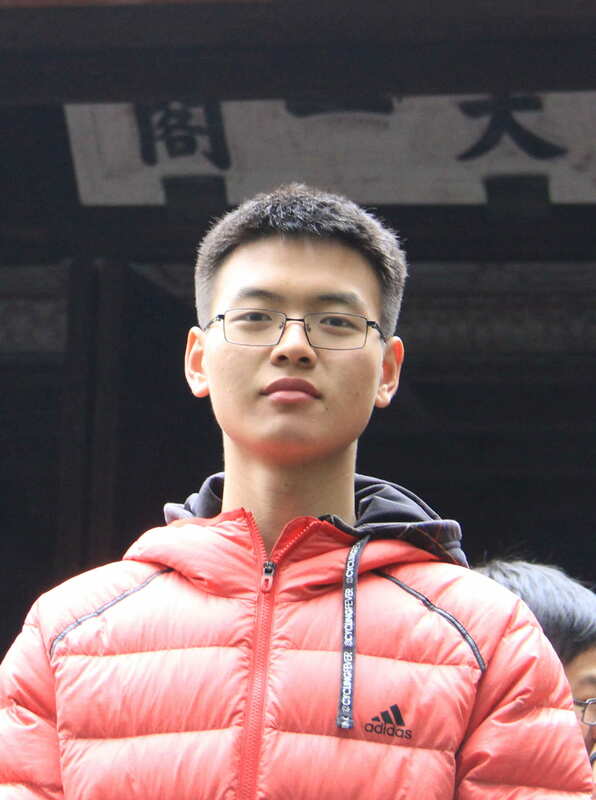 Haibo is from South China University of Technology and he is in his second year of phd. Welcome, Haibo! 2016 Oct 15. 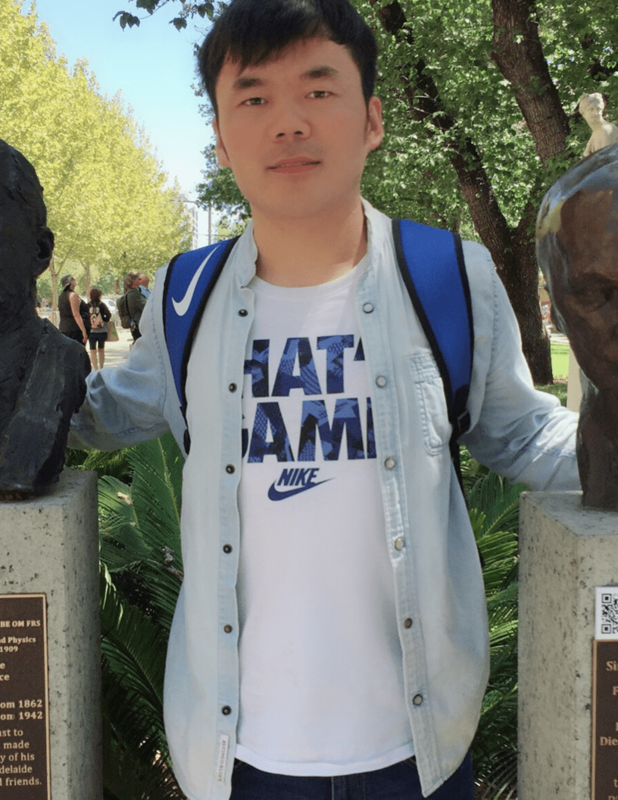 Hai successfully completed his work at GT as a visiting ph.d student and is heading back to China to defend his thesis. Hai will be much missed as a hard working colleague who is always willing to help and always brings pleasures to the lab! We wish him the best of luck with his new career after ph.d! 2016 Aug 31. Bo Nan finished his internship with us and headed back to SCUST to continue his undergraduate study. Best of luck, Bo! 2016 Aug 21. Will Disser and Yangyang Li joined us as undergraduate researchers. Both of them will be working on the battery recycling project. Jacqueline will continue to work with us as an undergraduate research as well, after she finished the SURE summer program. She will continue her work on anodes for sodium batteries. Welcome Will, Yangyang and Jacqueline. 2016 Aug 12. 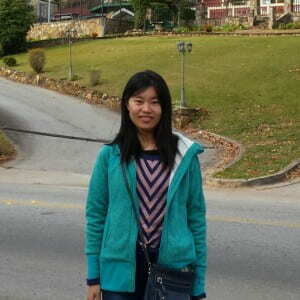 Zhantao Liu joined our group as a ph.d student. Zhantao has BS degree in MS&E from Beihang University and MS degree from HKUST. Welcome, Zhantao! 2016 June 19-24. Xuetian and Shan are attending the 18th International Meeting on Lithium Batteries (IMLB 2016) and presenting their work on sodium ion battery anode and solid state electrolyte, respectively. IMLB is a prestigious international conference that is held every two years around the world. This year the meeting is held in Chicago. 2016 June. Jon is awarded Georgia Tech Presidential Undergraduate Research Award (PURA) for 2016 fall for his research on mechanochemical synthesis. Congratulations, Jon!! 2016 June Awad Latifa is visiting our group for 3 weeks to finish her teaching plan, supported by CREATE program of GT. 2016 May. Jacqueline Baidoo joined us as a summer student supported by the SURE program of GT. Welcome! 2016 April. D8 advance is finally repaired after a two month down time. We’ll be rocking with a variety of in situ experiments in the summer! 2016 Jan. Lufeng Yang joined us as a visiting student. Welcome Lufeng! 2016 Jan. Zoe Holderness and Jake Thiemann joined us as undergraduate research assistants, Welcome Zoe and Jake! 2015 Dec. Malte successfully defended his thesis and received his Master’s degree. Congratulations Malte! And thanks for your excellent work at GT! 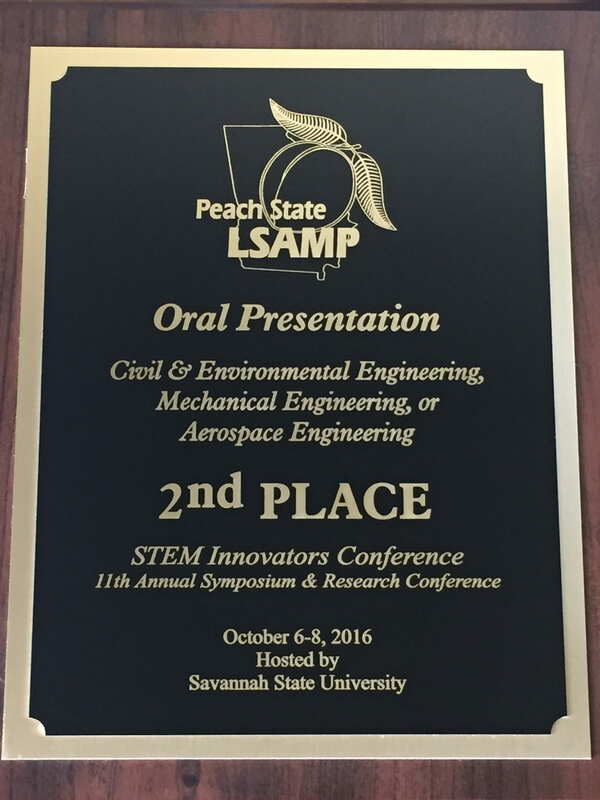 2015 Dec. Aijie received Georgia Tech Presidential Undergraduate Research Award for 2016 Spring. Congratulations, Aijie! 2015 Nov. Xuetian and Shan passed their ph.d qualifier exams with excellent performances!! They passed all three qualifiers at once and with top grades. Congratulations, Xuetian and Shan! 2015 Nov. Hai Wang joined us as a visiting student. Welcome Hai! 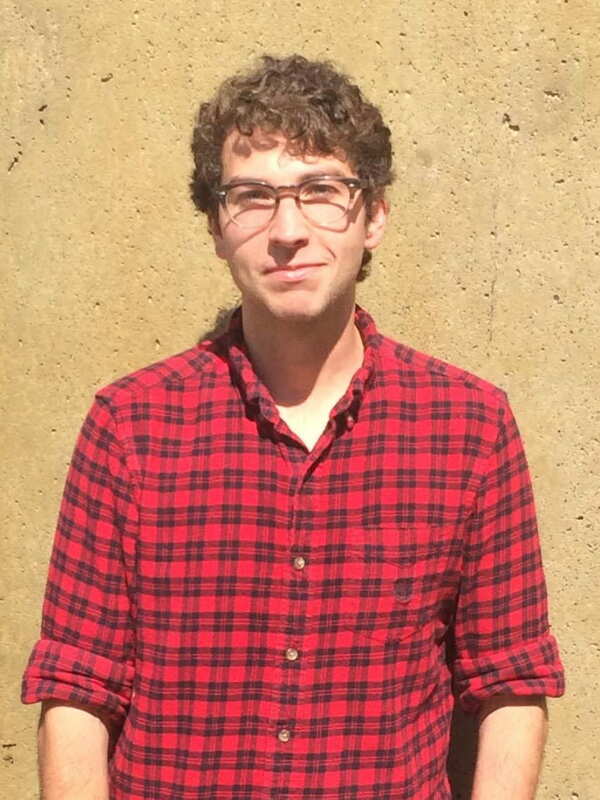 2015 Aug. Jon Payne joined as as undergraduate research assistant. Welcome, Jon! 2015 Aug. Xuetian, Shan, Malte and Dr. Chen went to APS for synchrotron experiments. 2015 June. 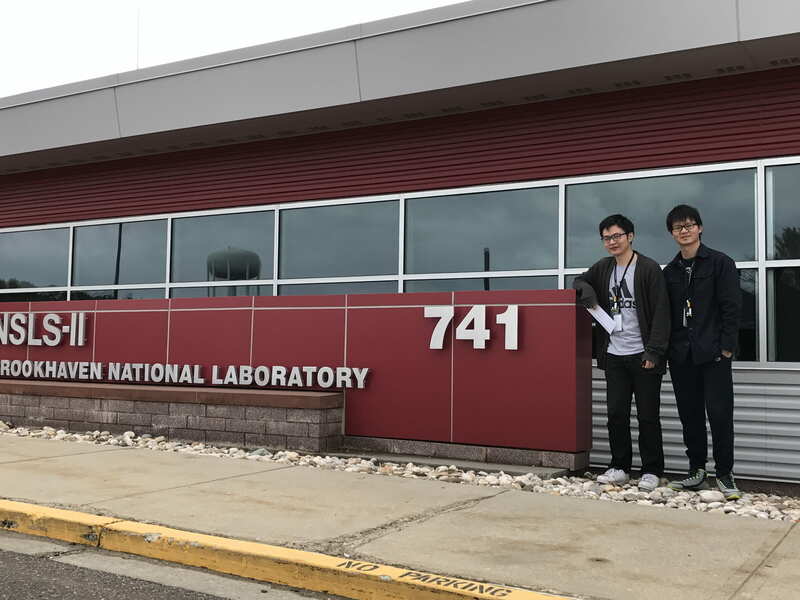 Xuetian and Shan presented the work on novel titanates as anode material for Na-ion batteries at the 8th Beyond Lithium Ion international conference hosted at Oak Ridge National Lab. 2015 March. 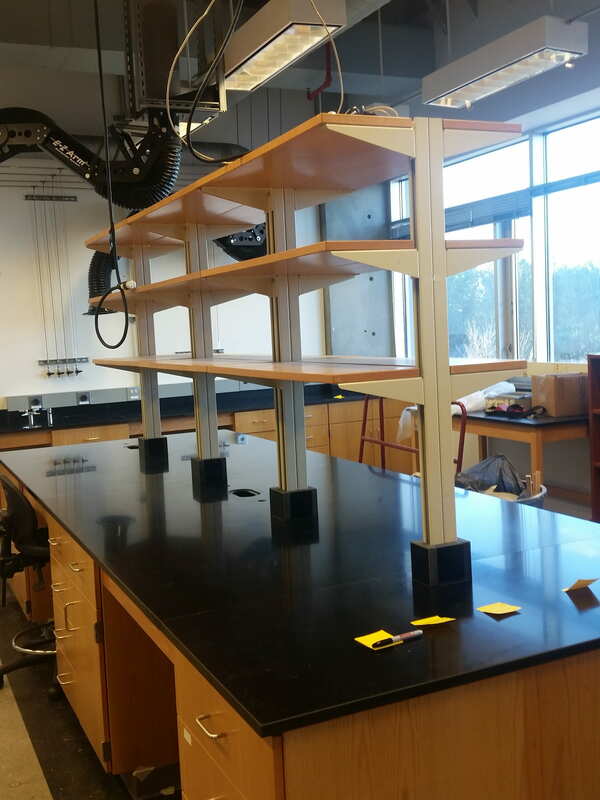 Chen Lab officially moved from the temporary labs to Love building 220 and 221. 2014 Nov. Mbraun glove box was installed! 2014 Oct. Bruker D8 diffractometer was installed!